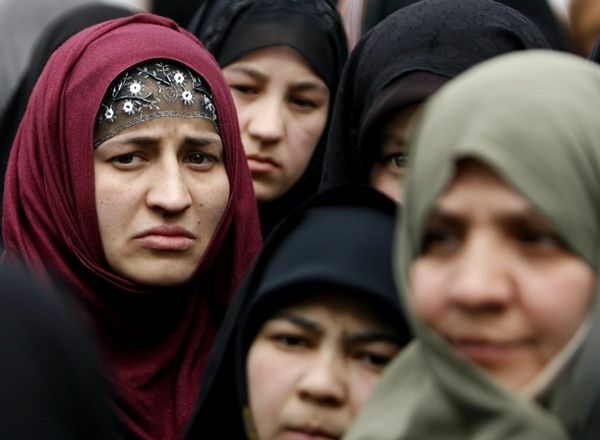 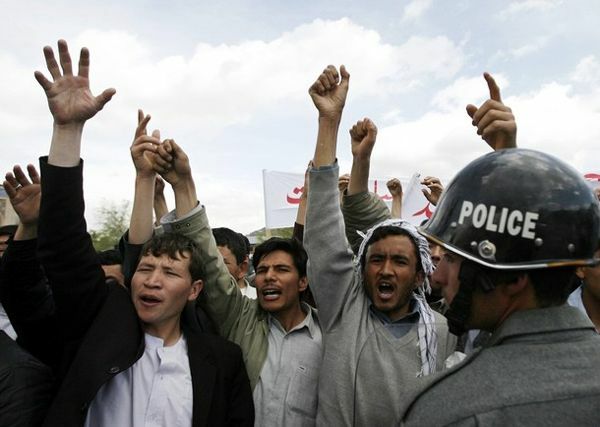 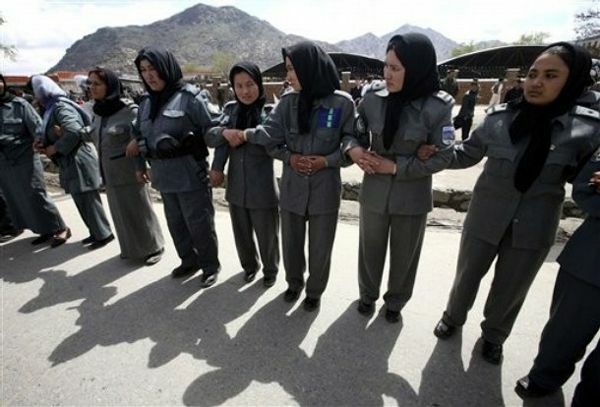 Afghan female police officers link their arms to create a barrier for Shiite counter protesters during a demonstration in Kabul, Afghanistan on Wednesday, April 15, 2009. 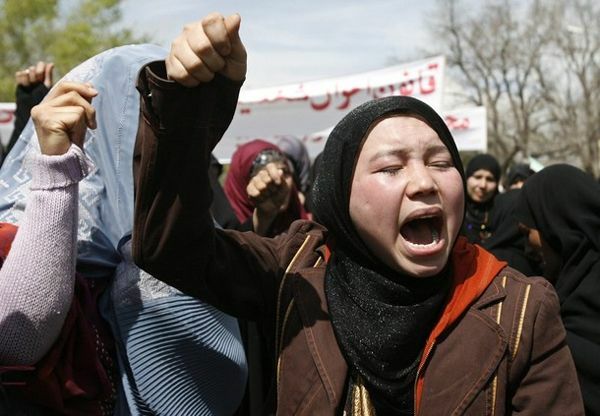 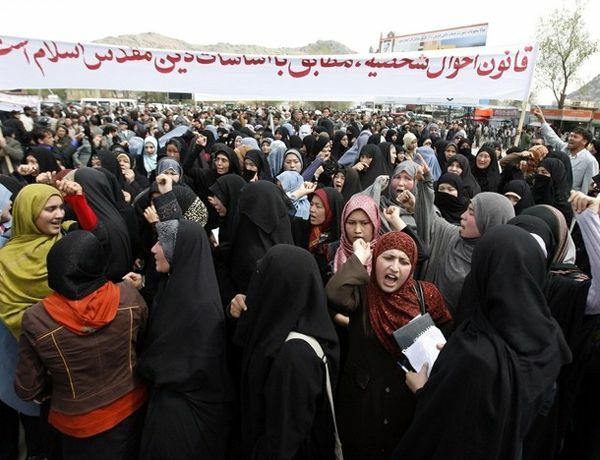 The group of some 1,000 Afghans swarmed a demonstration by 300 women Wednesday protesting against a new conservative marriage law. 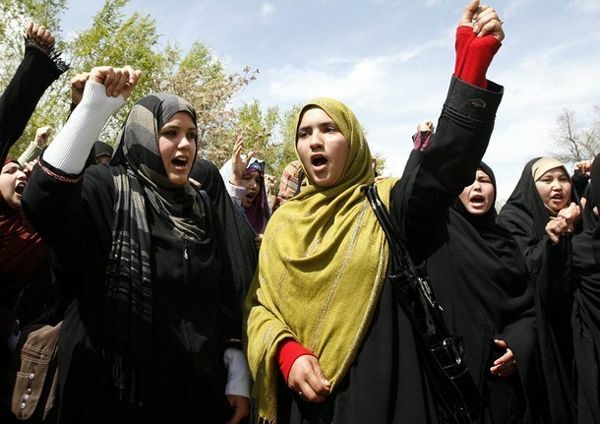 Some counter protesters pelted the women with small stones as police struggled to keep the two groups apart. 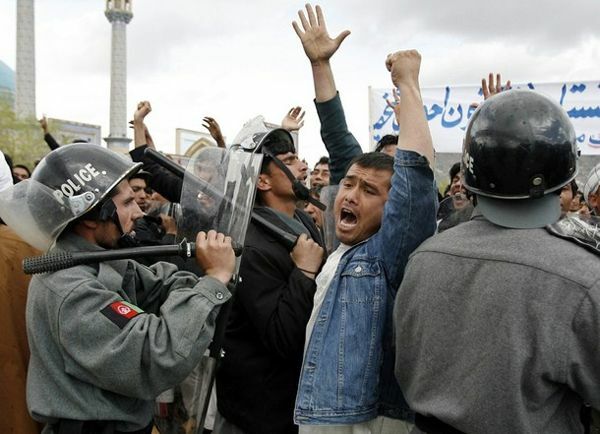 Shaker Keori also recommends the AP and Bloomberg coverage of the protest.